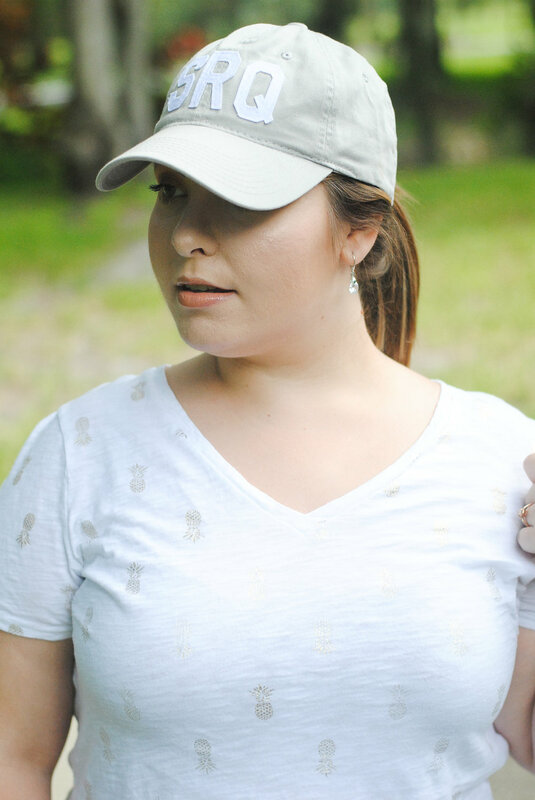 In case you haven't noticed pineapples are still a huge trend and this look embodies the pineapple and foiled trends that are currently happening. In the last T-Shirt Shop Series I brought you another pineapple look that was more bold, unlike this one that is more toned down. This has been one of my go to looks this summer especially on Sundays when I'm running around doing errands. 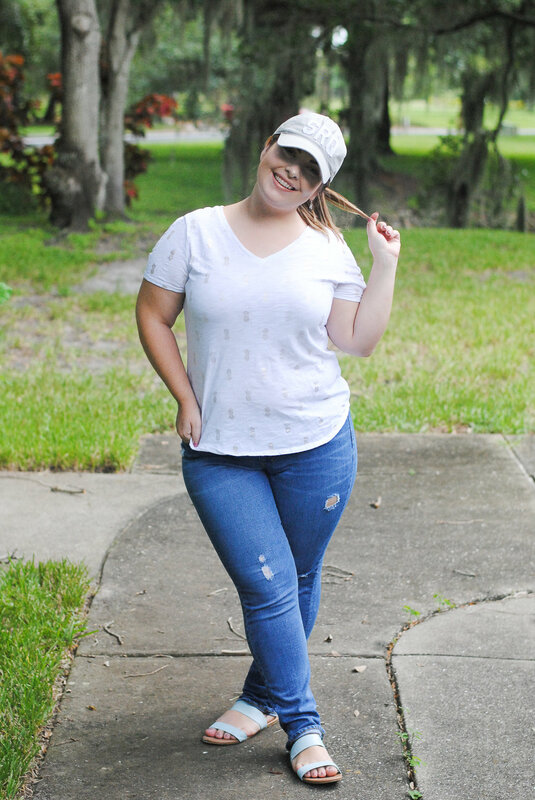 You can't get more simple than jeans and T-shirt like I've said many times before but it's true and throw on a hat and it's the ultimate laid back look perfect for busy days! Like always pieces will be linked below and let me know if you love pineapples or a different current trend!